LoooX products give your bathroom a stylish and luxurious look. 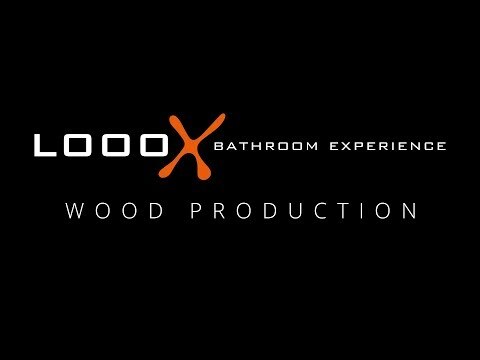 Fun detail: our LoooX Wood Collection is produced in our own Dutch woodwork division. View our unique bathroom collection. Do you want to change the look of your bathroom? Then check out our new wall shelves, the LoooX Wall Shelf. Really decorative! These shelves are a combination of oak and stainless steel supports. The supports are available in brushed stainless steel and matt black. Available as standard in the lengths 60 and 80 cm and as a solo or duo model. The shelves are made of 3-cm-thick solid oak in the colour old grey. Lastly, the collection is complemented by the LoooX Wall Shelf Free. The Wall Shelf Free is a shelf with a concealed mounting system. The wall shelves also fit perfectly in other spaces, such as in the living room, kitchen or hall. These stylish wall shelves are available in lengths of 60 and 80 cm and are made of 4-cm-thick solid oak (old grey). More LoooX inspiration? Surprise yourself with our creative mood boards full of bathroom inspiration.